888 Refining Australasia Pty Ltd is the corner stone of the 888 Investment Group, with offices located in all major capitals within Australia. The company has a combined industry experience in excess of over 40 years in buying, selling and refining precious metals. By dealing with 888, you are dealing directly with the refiner. 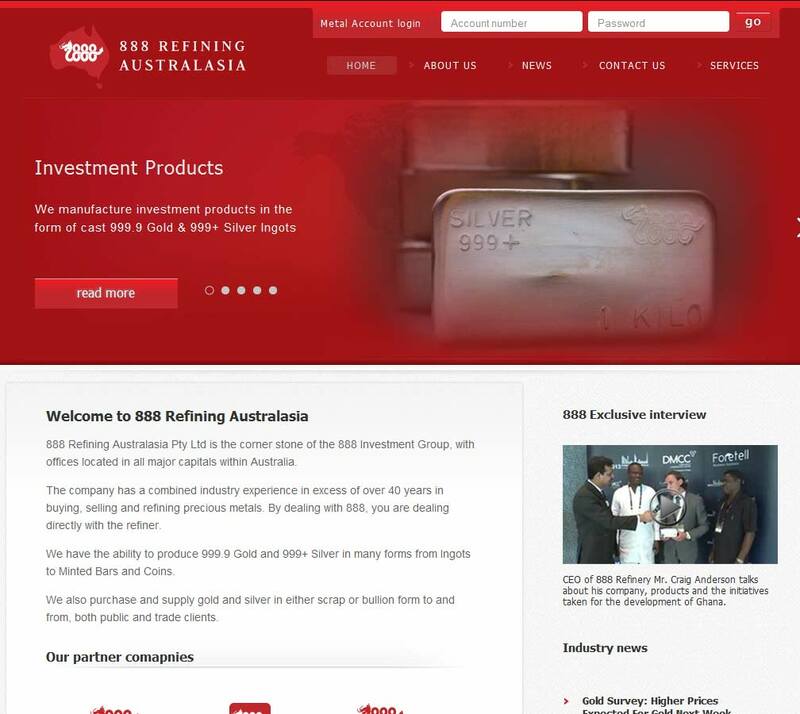 888 Investment Group is an international precious metals dealer and refinery, based in Australia and Ghana, buying and selling scrap gold, bullion bars and coins, refining metals, producing bars and minting coins and rounds. 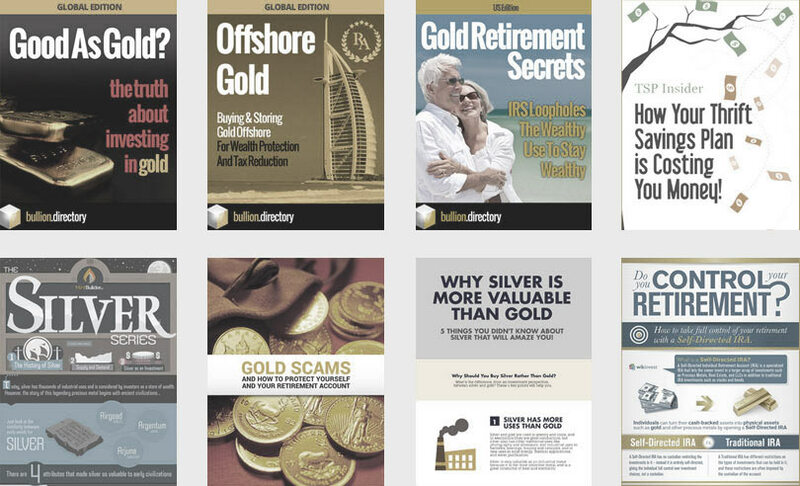 They offer “Mine to mantelpiece bullion solutions” – which is a really good summary of the breadth and depth of their services. 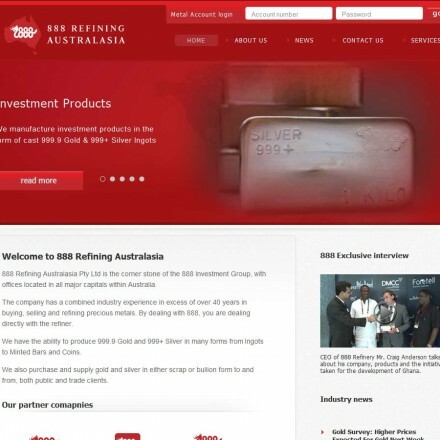 When doing business with 888 Refining - please say you saw them in Bullion.Directory. Read or add 888 Refining reviews and ratings using the "reviews" tab above. All 888 Refining details are believed to be correct at the time of listing. Please report errors here.